As many of you know (but maybe some of you don't) we announced last Friday via our weekly Facebook LiveCast (2pm Pacific Time/5 pm Eastern) that American Duchess has signed a contract to write a book with Page Street Publishing! We are suuuuuupperrrrrrrr excited (and frazzled/freaked/nervous/giddy/shocked/etcetcetc) about the whole shebang & are really looking forward to getting this book out there for public consumption! WOO! Hooray! The book will be broken down in to 4 parts or large outfit based projects. How to drape or pattern your gown. Repeat: We will not be showing you how to create gown patterns. We will not demonstrate how to drape the gown on your dress form. Because there are enough books & purchasable paper patterns out there that show you these things already. This book is going to be your companion to those books & patterns. That's what our book is here for - to hold your hand and help you through those moments. Sewing is scary. Sewing is hard. We want to try and help make it easier & enjoyable. Make sense? Jazzy. Q: When will the book be published? A: Our manuscript deadline is the end of February (pray for us.....) and our publishers estimate sometime that Fall/Winter. (Should be able to purchase on Amazon in time for Christmas 2017 but probably wont be in brick & mortar stores) Don't hold us to that date; it is just an estimation. The only hard and fast date that we have is the end of February...the rest is up to the publishers. Q: Will there be a Pre-Order? A: Yes, you should be able to pre-order the book on Amazon/Barnes&Noble online. We don't know when that will be yet but trust us we'll let you know! Q: Will it be e-book or printed? Q:Will it be available worldwide? A: We are anticipating worldwide distribution via our publisher, but we're not 100% sure. Q:Are you going to include hacks for OL/Poldark/Hamilton/etc etc. ? 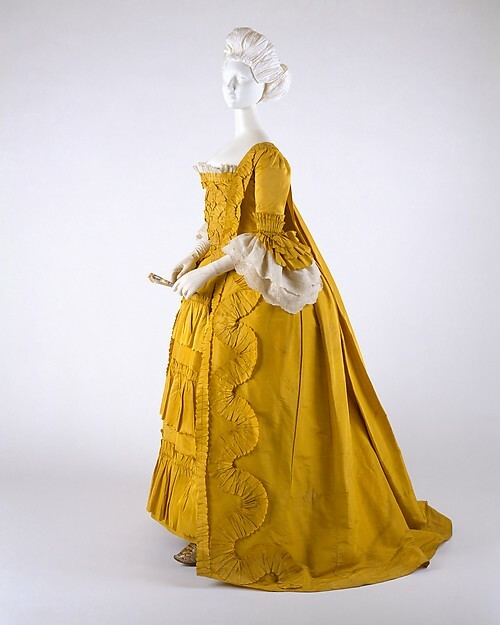 A: Short answer is no, but to elaborate - this book will help you put together 18th century women's gowns in historically accurate ways, so you should be able to take the information we give you and adapt it to suit your cosplay needs. Q: Will this affect the blog? A: Yes & no. We will not be blogging about the projects/sewing/etc related to the book, per our contract with the publishers. We are going to try and work on other projects that are blog-able at the same time, so that way we can keep all of our engines runnin'. Q:How much will the book cost? Q: Will this book be hand-sewing or machine? Q: Will there be gridded patterns? A: Not of the gowns, no. BUT we will be including grid diagrams/patterns of the smaller accessory projects to go with your gown. Some will be exact patterns and some will be cutting guides/recommendations (sometimes things are squidgy like that). We'll try to keep things as simple and straightforward as possible, because we are both women who hate wasting time & trying to translate wacky instructions. This is such a great idea! It really is a bit daunting once you have everything cut and ready to go...and then you start hyperventilating, realizing that a pattern usually has only basic, basic assembly instructions to go off of - and if you scaled the pattern yourself, maybe even less than that! 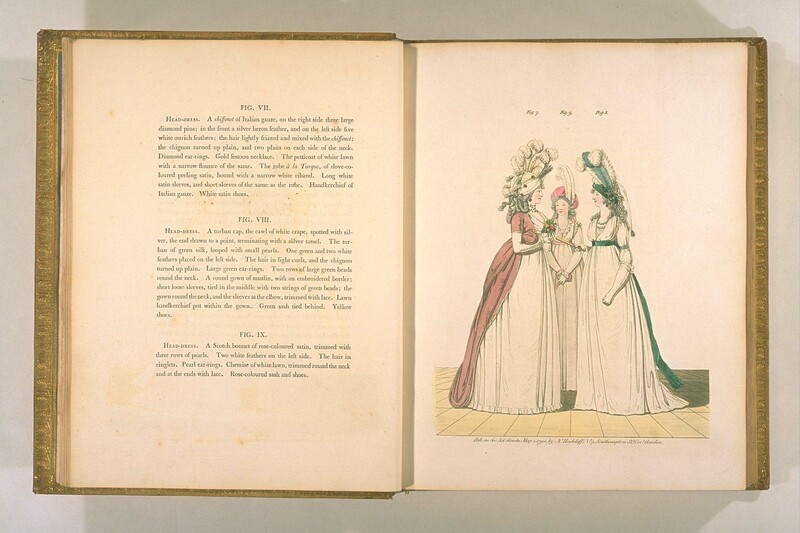 I'm so bummed this book didn't come out earlier so I could have read "do NOT, under any circumstances, cut the skirt loose from the bodice on a sacque-back." WHERE WERE YOU WHEN I NEEDED YOU?! I guess that step should have been obvious to me but really I just stood there wringing my hands and thinking "does this under-part get cut then pleated to the waist like all the other gowns I've made? It has to. IT HAS TO." Bad decisions were made with scissors that late evening while watching Dangerous Liaisons and drinking wine. I will clutch that consolation to my bosom. I wonder if it was a poor apprentice mantua-maker who had a similar "oh s***" moment. "What do you mean I was just supposed to drape that part and coax it into lovely pleats over the panniers?! Are you kidding me?!" Please, please, please Abby include a pattern of a big honkin' cap of the sort you always seem to be wearing in pictures from CW! I know many a person who wants one of those big floofy caps. We will be doing cap patterns! I haven't picked out the styles I want to produce yet (from images) but there will be some snazzy new cap options in the book! Will you guys be including men's and babies patterns too? This is so exciting! I will definitely be pre-ordering the book as soon as it's available! Will there be any tips etc. for adjusting for plus sized ladies? I am thrilled with anticipation. I am pretty much a newbie, having attempted my first 18th century outfit in preparation for my first visit to Colonial Williamsburg. 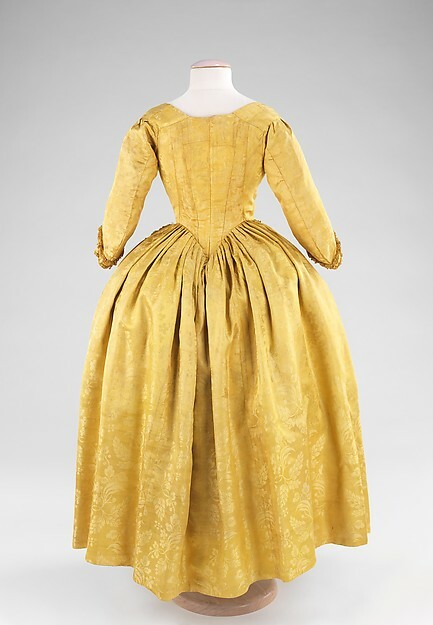 At the time, I had a difficult job finding patterns for my stays and gown in my, hmm...larger size. Finally I found a gown pattern for the very end of the century, beginning of the 1800s, and made that in a lovely stripes linen. I also made a cap, chemise, and hacked mitts, and wore them all on my trip. It happened to be Spring Break, and I was (literally) the only costumed visitor. Fine with me! I loved spending a week in that century. Since then I have made a number of other items, for myself and my sister, but I can't wait to study your book for each and every gem of wisdom. I would love a pattern or guide to make new mitts. Thank you! I'm honestly bummed that you didn't go for the pun, "the whole shoebang". But this is exciting news! I'm so excited you have great things coming your way. I love reading your posts - I am getting into embroidery, which is a slightly different work, but your work and attention to history inspires me. Congratulations! I can't wait to read it. I would need that book now! I have a pattern, but I've stalled on so many details and variations on my sacque project. This sounds like a great book to go with the pattern reference books that I have. Congratulations! :) I've never heard about "Italian gown", it's just dress with separate sleeves, like it was popular in Italy? This is like a gift from heaven. 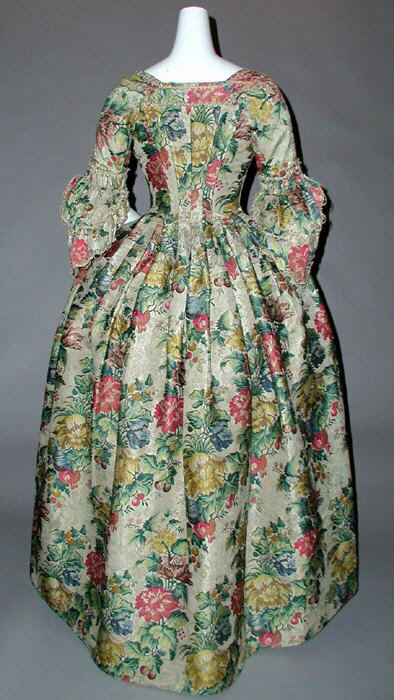 I want to hand sew an English 18th century dress for my vintage linen mannequin, to work as a piece of art for my house. I have the pattern but not the know how. Can't wait for your book to be released. Good luck with the writing process, I shall be your first customer!! Congrats ladies! I look foreword to reading your book when it comes out. I was also wondering if you ladies could tell me where to find wool fabric for a reasonable price. I have several projects in need of wool fabric and have no idea where to look. As someone who is a fairly advanced sewer, yet new to my journey of historical costuming, I was hoping y'all could help me. I would look at a physical store, however the only fabric store within 3 hours of me is Hobby Lobby which does not sell wool fabrics. If you have any suggestions as to where to look whether it be at a physical or online store, I would be most grateful. Thank you so much for your help. Again congratulations ladies. I will be anxiously awaiting your book! How exciting for you and all the rest of us that neeeeed this resource!